Note, post contains affiliate links. Kay’s father is working late – as usual. Fed up, her mother bundles her daughters into the car and drives to her husband’s Cambridge college to collect him herself. But when they arrive, the staff claim that nobody by his name has ever worked there . . .
That night, Kay is woken by voices at her window: the voices of Will and Phillip, the Removers. But they are not human. And Kay shouldn’t be able to see them. Except she can . . . 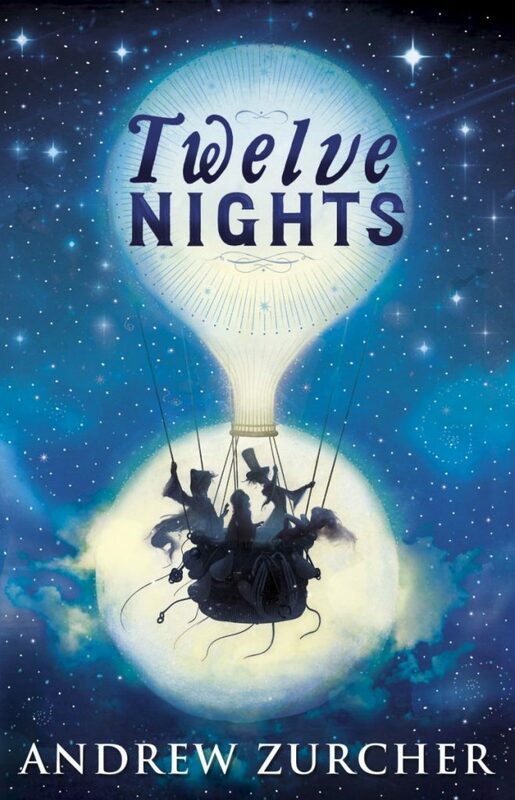 I love getting my reading year off to a magical start, and Twelve Nights by Andrew Zurcher has all the right ingredients to do this. (I confess I haven’t read beyond the first chapter yet, but that was intriguing…) I was very happy to be involved in the cover reveal on twitter (although I’m embarrassed to admit that I forgot to ask who the cover illustrator is when I was dealing with the emails on my phone, so I can’t share that. Will add in when I track them down!) The book is available for pre order on Amazon (and I’m sure other bookshops) and is due out April 5th 2018. Oooooh, ,that looks fabulous. Just the sort of book I’d like. I’m already intrigued and trying to guess the storyline. I’ve added it to my book list of books to order when we are in London next. I’m doing all the things to enter the give-away but we are not in the UK so I probably don’t qualify – even though we do have a postal address in London. If you are OK to have it sent to a UK postal address, I’m happy to have you enter. That’s usually what I put in the t&c – have I stuffed it up this time? Yes I’m happy to have it sent to a London address if I win the draw. Thanks. Thanks for the fab giveaway. The cover is beautiful. My reading has dried up over the last few months but I have a pile of fiction and non-fiction books beside my bed when I manage to restart. This is Going to Hurt: Secret Diaries of a Junior Doctor may be the first I pick up. Thunderhead, The Cruel Prince and Still Me. Looking forward to reading Dean Koontz new detective series The Whispering Room. I think the next book I want to read is the Muse by Jessie Burton – it’s been on my list a while! BOOKS! Seriously, I’ll read anything and everything that is fiction.